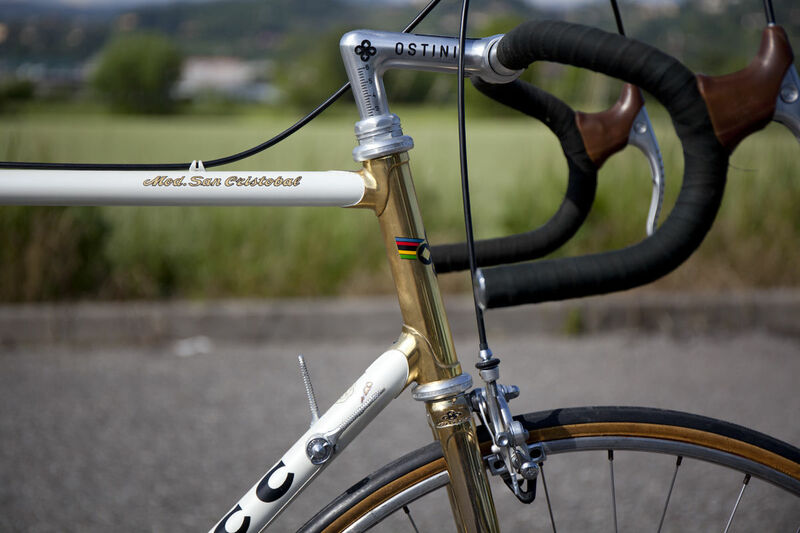 Cast your eyes over this magnificent example of a Ciocc San Cristobal built in 1979. 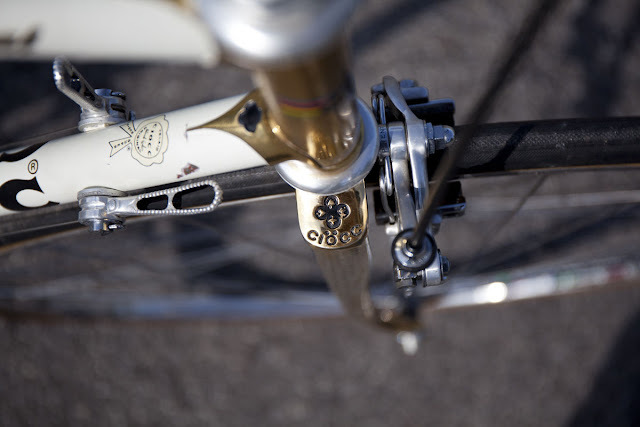 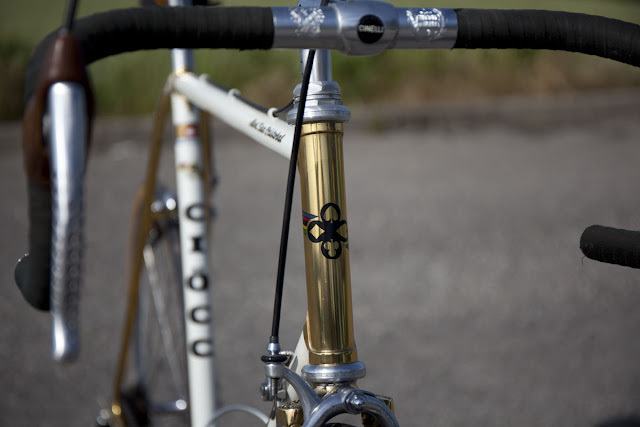 The paintwork features gold plating to the head tube, front fork, seat stays and chain stays. 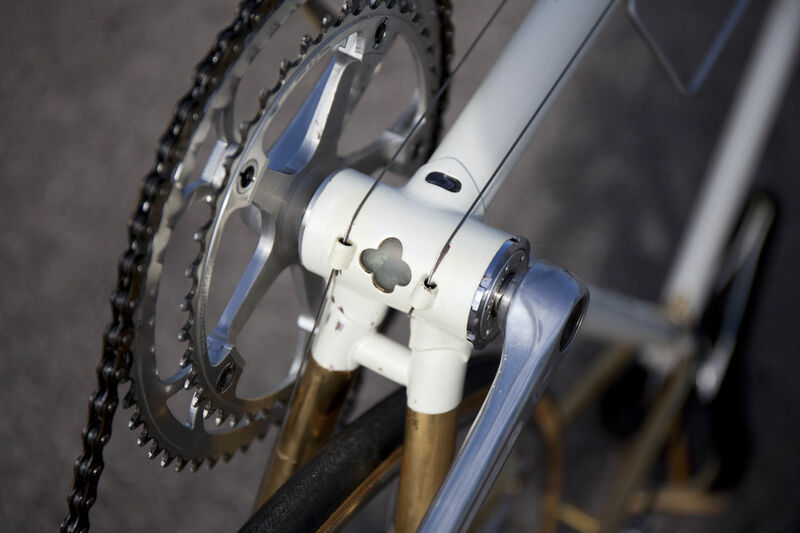 The remainder of the lugged steel frame is painted metallic white. 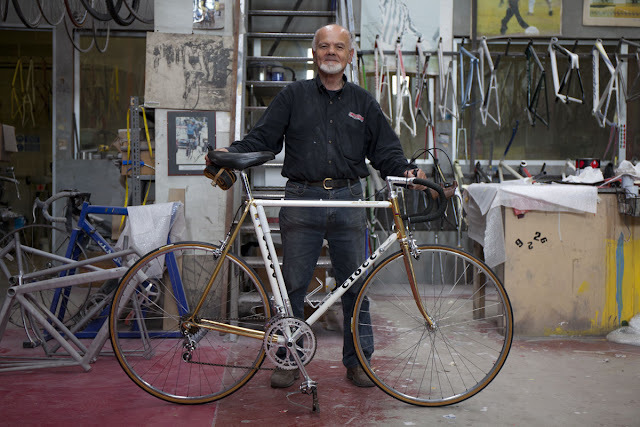 The bike was displayed in a bike shop for almost 35 years and has only been lightly ridden. 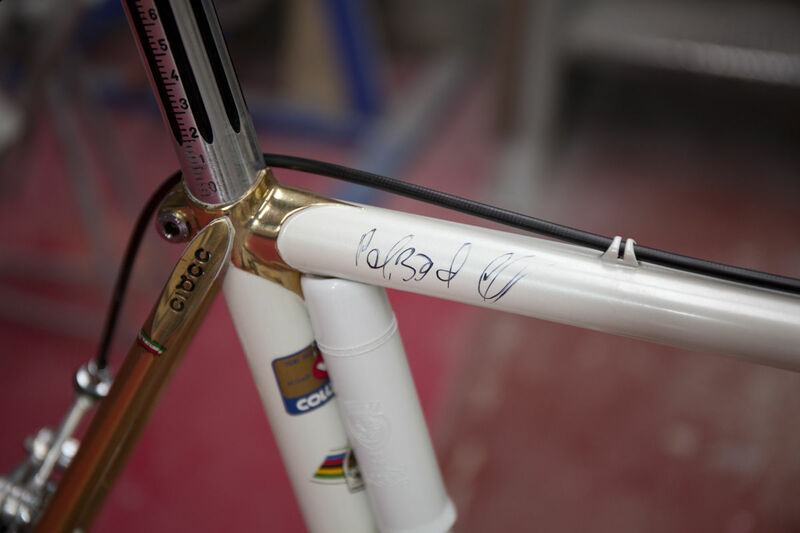 It's in an amazing condition apart from a small paint chip on the down tube near the right gear shifter. The Ciocc decals are in superb condition. The bike is built with a Campagnolo Super Record groupset and has drilled gear shifters, a Cinelli 1R 'Ostini' pantographed stem, and a Campagnolo Record seat post. 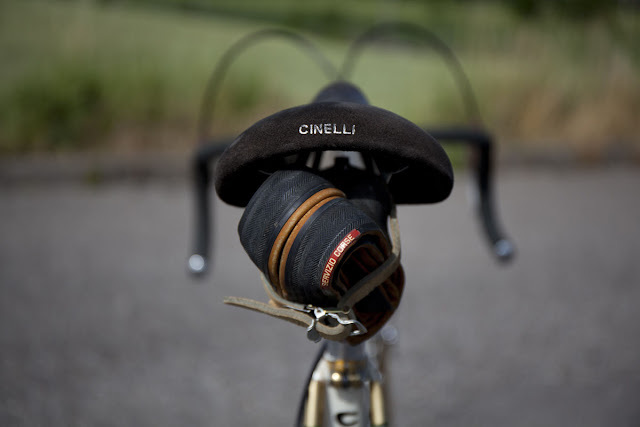 The Ciocc brand was founded by Giovanni Pelizzoli in the late 1960's. At one stage Giovanni built De Rosa frames. 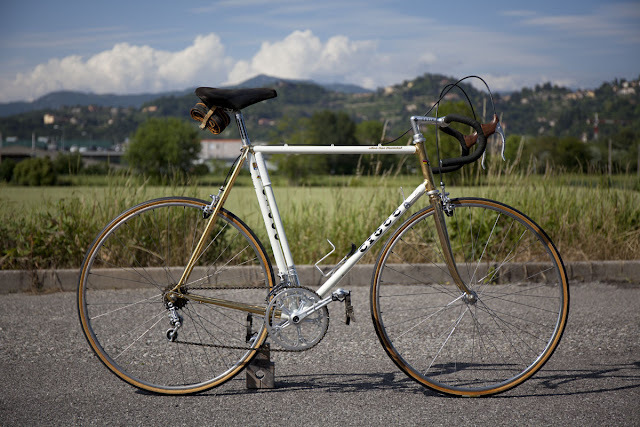 Today he occasionally restores Ciocc bicycles and has signed this fine example of a Ciocc San Cristobal on the top tube as seen below.